It's the final part of my Xiumin Birthday Project. Check out Part one, two, three, four, five and six if you haven't. So in this final post the topic will be about Xiumin and his love. What? No, why did you think I was going to say Luhan? No, not Luhan. 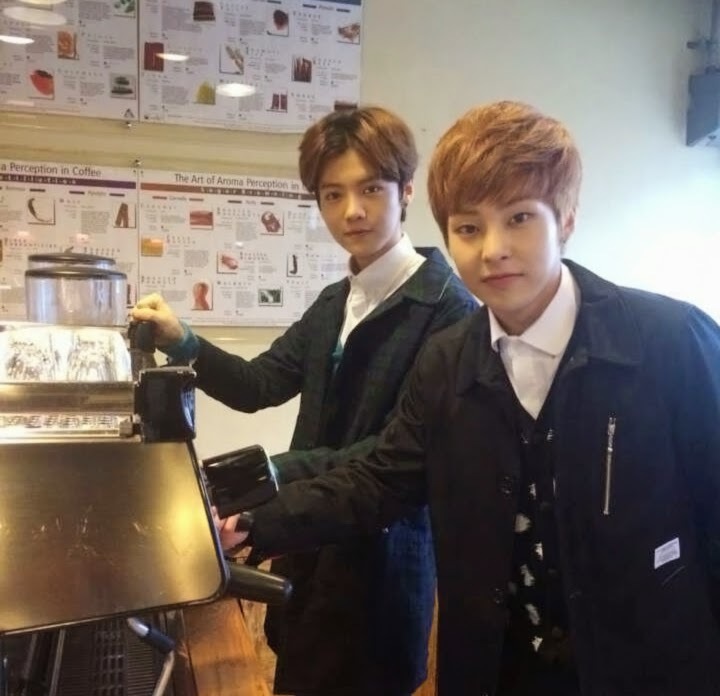 I already talked about XiuHan in my last post. 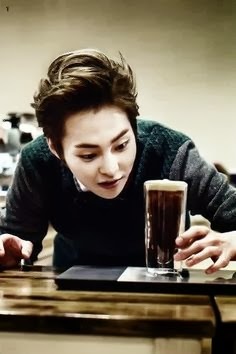 So now it's all about Xiumin and this dark beverage made of sweet roasted beans. 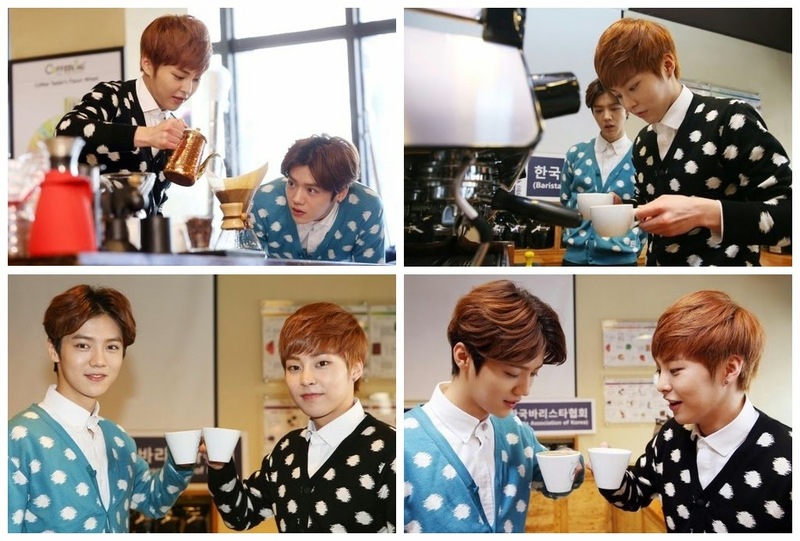 Xiumin loves coffee. He loves it so much, he goes and gets one before he starts shopping. 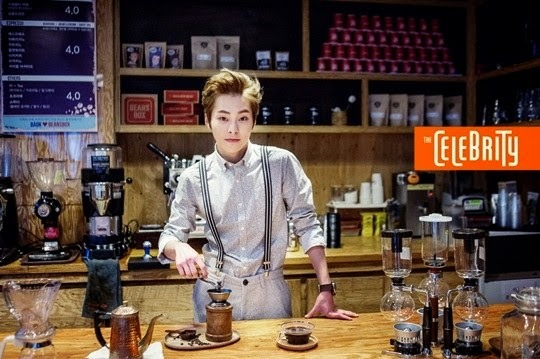 He loves it so much, he would be a barista if he weren't an idol. He loves it so much, he'll bond easily with anyone else who happens to have a taste for coffee too. 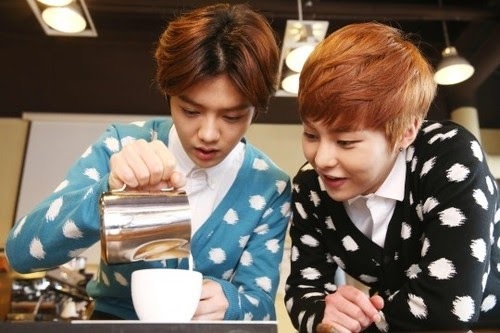 So, here's to Xiumin and his coffee. May they have many more long years ahead of them. May their paths always be filled with lovely moments and beautiful memories. May these two be together forever and ever and ever. Oh, so that's why you thought I was going to say Luhan. Well, he and Minseok go great together too, like Xiumin and coffee. Happy birthday again, Baozi! !